2014 promises to be an exciting year for global health. The Millennium Development Goal’s (MDGs) target date is only a year away and strong leadership, accountability, and collaboration are needed to continue to build on the momentum they have started. Dalhousie’s Global Health Office is also in the midst of reflecting on the year’s past accomplishments and successes, while looking forward to new adventures in global health. This is why we are more than pleased to invite you to our annual symposium on April 1st, 2014. This year’s theme, Dalhousie’s Global Health Voice, recognizes some of the unique opportunities the year 2014 will provide us. We are offering 3 main events to encourage global health expansion, as well as collaboration in this field, and a chance to celebrate and honour Dalhousie’s leadership in global health. First, our workshop (2:30-4:30pm, Tupper Room 14B2) will explore Dalhousie’s global health voice in a post-2015 agenda. Please join this discussion with key faculty so that we can identify common themes moving forward, areas for additional collaborations, and opportunities for funding in global health. Following the workshop, a reception and poster presentation (4:30-5:30pm, Tupper Link) will be held to satisfy your afternoon coffee craving and highlight some of the exciting programs at the Global Health Office. Global Health Advocate’s Graduation: We will honour this year’s graduating class of Global Health Advocate’s. These students have worked extremely hard to accomplish knowledge, professional development, and public engagement criteria in order to be graduating the program. Certificate in Health Systems Graduation: In addition, we are also pleased to recognize our first graduating class form the new Certificate in Health Systems! Global Health Awards: The opportunity will also be taken to announce our global health award winners! The Dr. Ronald Stewart Student Award recognizes a student who has demonstrated leadership in global health and commitment to the health of marginalized communities during their time at Dalhousie. The Dr. John Savage Memorial Faculty Award recognizes an outstanding humanitarian contribution to global health by a Dalhousie Medical School Faculty member. Photo Contest Winner: You will also have the chance to find out who will take home 1st and 2nd prize from our photo contest; where candidates’ submissions reflected the theme Global Health through my eyes. Please be sure to join us with an eagerness to learn, willingness to participate, and of course, the spirit to celebrate! We look forward to seeing you there! Join the discussion on twitter with #DalGHImpact. The Dalhousie community has been hard at work! While our last few posts in this series have focused on our new program coordinator, Michelle Patrick, and her role in addressing the underrepresentation of African Nova Scotians within the health professions, her role is only the tip of the iceberg, so to speak. Behind her is the support and groundwork of a hard working group of individuals here at Dalhousie, the African Nova Scotian Health Sciences Advisory Committee. The committee was established in 2011. Under the faculty of medicine, its members looked to address the underrepresentation of African Nova Scotians in the profession of medicine and on a larger scale, improve health outcomes within the African Nova Scotian community. Over the years, their mandate has expanded to include all health faculties, in order to improve health outcomes for all Nova Scotians. The committee, through an advisory role to the Dean of medicine, was intended to assist the Faculty of Medicine in fulfilling its social accountability mandate to the African Nova Scotian community. This involved promoting and supporting equity in admissions, student resident support, faculty recruitment and retention, curriculum development and research relevant to the community. However, they have accomplished so much more. In addition to these formal expectations, the committee has managed to organize visits from speakers, Dr. Chad Williams, Dr. David Haase, and Dr. Will Ross in their “Doctors from African Nova Scotian Communities: Making it Happen” event. They have also managed to award bursaries to first year medical students, get into the “Medical School community event”, and have seen an increase in the representation of students of African descent in Dalhousie’s medical school. The committee realized it needed a full-time coordinator to dedicate much needed time to the coordination and consultation around the development, implementation and monitoring of programs to enhance African Nova Scotian engagement. And this is where Michelle Patrick comes in. She is an extension of the wonderful work the committee is doing. Through encouraging engagement of local community based organizations with the committee, her role will enable strategic development in order to attract African Nova Scotian students. She will also assist the committee’s activities through the development and implementation of a pipeline program (including elementary, junior, and senior high schools) for careers in health, dentistry and medicine, and through culturally specific training for staff and faculty in health professions, dentistry and medicine, among many other activities. Stay tuned for the official program launch, however the African Nova Scotian Health Sciences Advisory Committee and their new addition to the team, Michelle Patrick are, as always, hard at work. And we can be sure to expect more stimulating lectures and events, such as the most recent “Is Racism a Determinant of Health?”, with Dr. Williams, and the upcoming summer program for African Nova Scotian youth. Is Racism a Determinant of Health? In December 1995, the House of Commons officially recognized February as Black History Month and by 2008, thanks to, now retired Nova Scotia Senator Donald Oliver, Q.C. the Senate officially declared February as Black History Month. We now refer to it as African Heritage Month across the country. 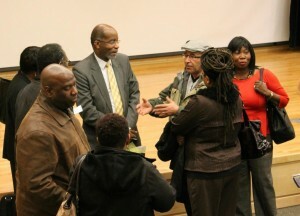 On February 10 and 11, in honour of African Heritage Month, the Global Health Office at Dalhousie University with the Health Association of African Canadians (HAAC), Cancer Care Nova Scotia, Capital Health and Dalhousie University’s African Nova Scotian Advisory Committee, welcomed Dr. David R. Williams, an expert on racism and health from Harvard University to Halifax. Dr. Williams is internationally recognized for his research on understanding how race, racial discrimination, socioeconomic status and religion affect physical and mental health. 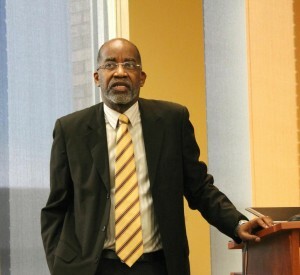 He is the Florence and Laura Norman Professor of Public Health at the Harvard School of Public Health and a professor of Sociology and African and African-American Studies and professor of Sociology at Harvard University. It is significant that the global health office and Dalhousie were part of this initiative as it is important for all students, staff a faculty to gain a better understanding of the determinants of health and in particular how they relate to marginalized members of our community. This event also highlighted the need to ensure that Dalhousie students are prepared to work in a diverse world by providing opportunities to enhance cultural competence and humility. During his Dr. Williams met with the African Nova Scotian Advisory Committee and presented current research on how race, racial discrimination, and socioeconomics affect physical and mental health. This information was shared with front-line healthcare professionals, the academic community and policy makers. The focus of these discussions examined the gaps and opportunities for research as well as the roles of provincial and district health authorities to decrease health inequities and increasing quality of care. 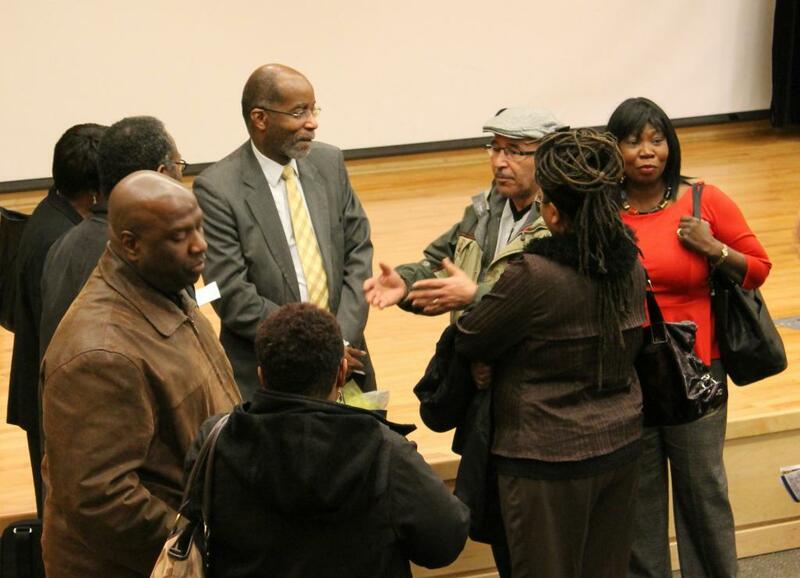 Dr. Williams also presented to the community offering the hard facts about racism and health that resonated with the audience as they nodded in agreement and began to understand their role in advocating for their own health and that of the community. The partners were supported with funding from Diversity and Social Inclusion, Primary Health Care, Department of Health and Wellness. 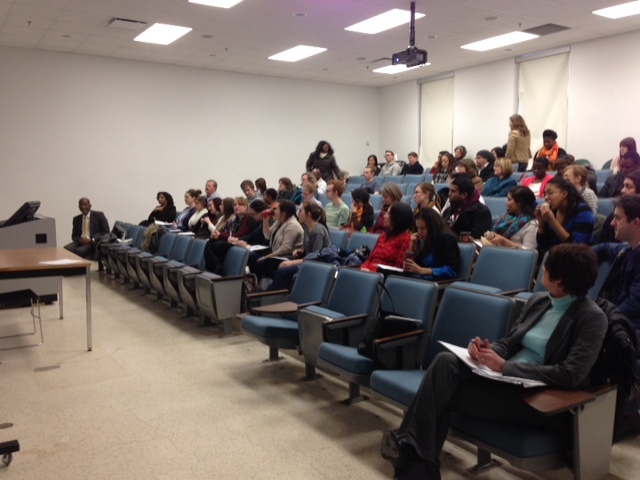 Dr. Williams’ presentations are available at www.africancanadianhealth.ca.